The popularity of whiteboard walls and large-scale writable surfaces continues to grow as companies embrace their potential to liberate thinking and provide space to develop big ideas. For ideation, brainstorming and problem solving a writable wall provides an immediacy that is hard to beat. No longer hemmed in by the constraints of an insufficiently roomy (and wobbly) flip-chart these epic canvases free your thinking and enable whole teams to participate. Not only that, writable surfaces provide a welcome break from screens and digital devices, one that neuroscience proves enables us to think and learn more effectively through scribing and sketching. But walls are, by their nature, fixed and immobile. And what if the wall you’d like to use is in a room that’s occupied? And what if it’s not a large group of people who want the immediacy of a writable surface to sketch out an idea or think something through – it’s just you? 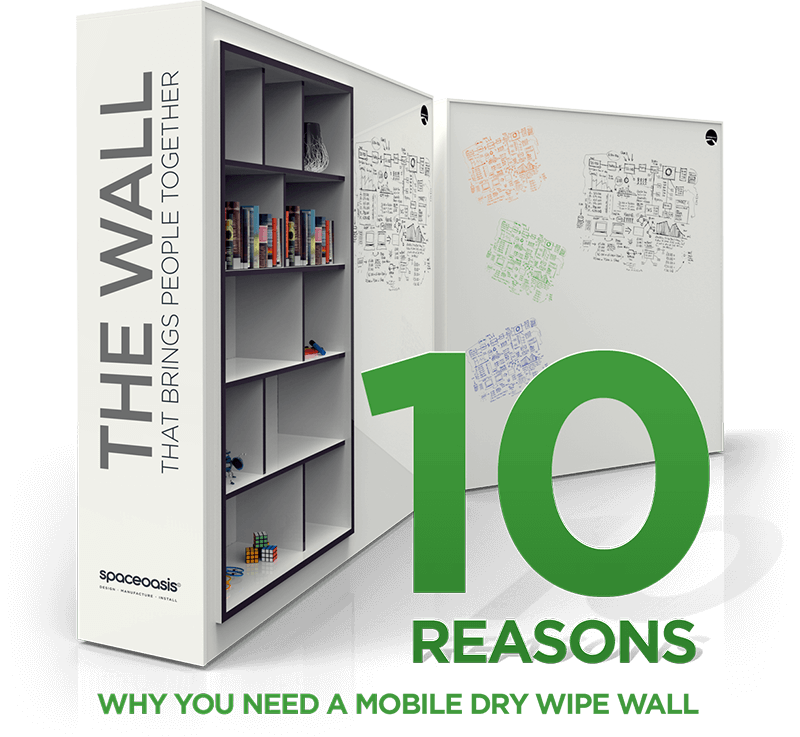 What if you don’t have a writable wall – surely there is another way to bring the benefits of writable surfaces into your workspace? 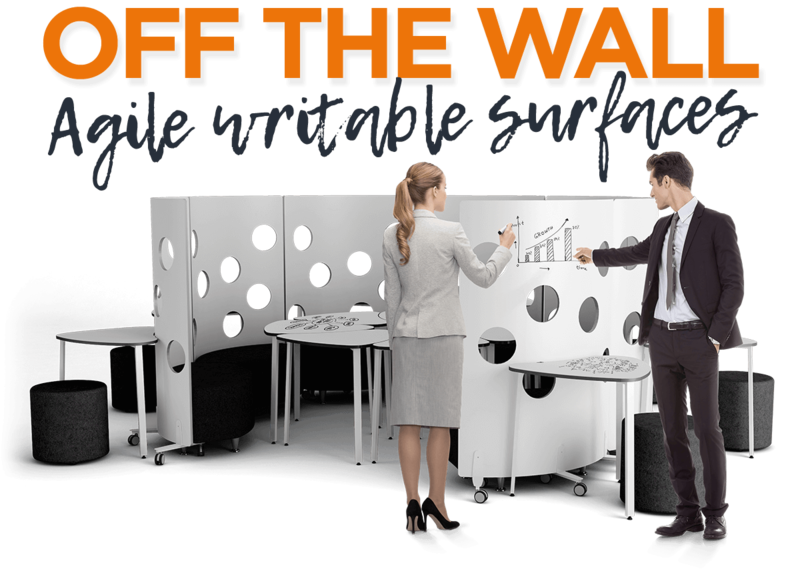 Thankfully the next generation of writable furniture means entire walls no longer have to sacrifice themselves so that you can enjoy the benefits of whiteboard surfaces. 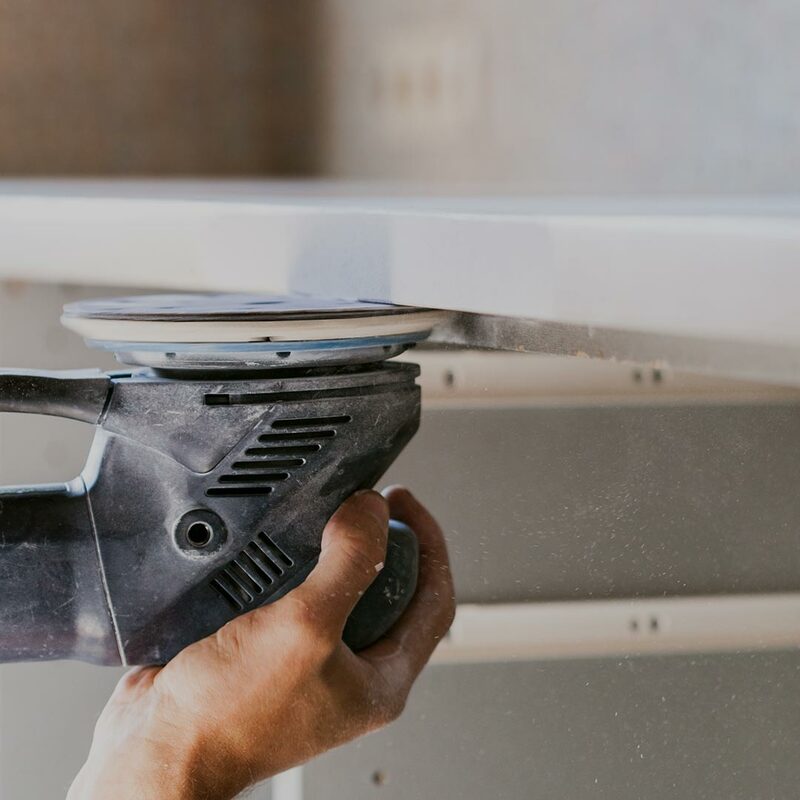 At Spaceoasis® we developed our trademark LearningSurface® to enable us to apply robust, durable and highly cleanable writable surfaces to almost anything. 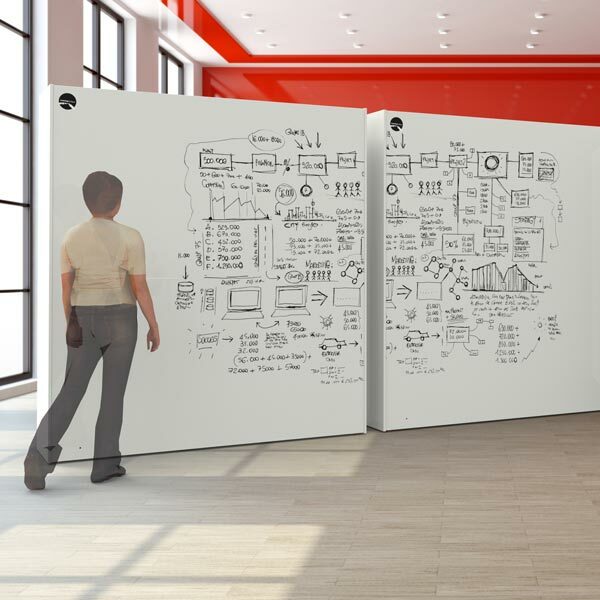 You can get writable walls that move. We know this because we make them. Our double sided LearningSurface® WorkingWall is mounted on castors and features integrated storage. As well as a large-scale whiteboard surface you can use WorkingWall to divide space or as a projector screen. 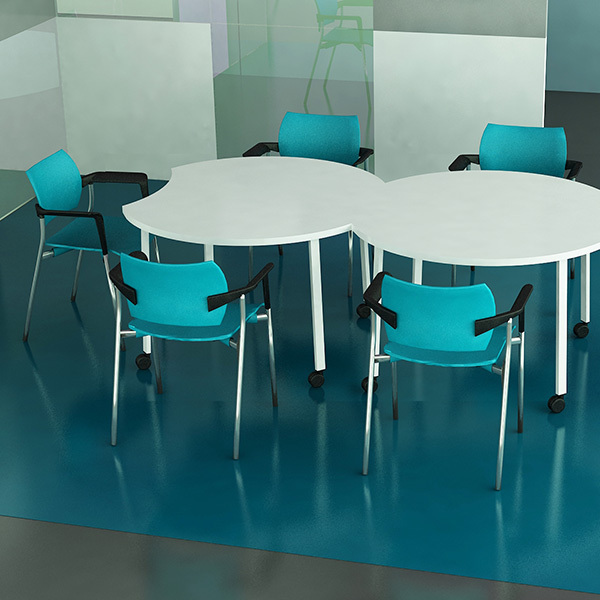 Individual, mobile LearningSurface® tables that you can use solo or cluster together in groups. Perfect if you’re looking to enable greater flexibility in your workplace and with all the benefits of writable surfaces to boot. 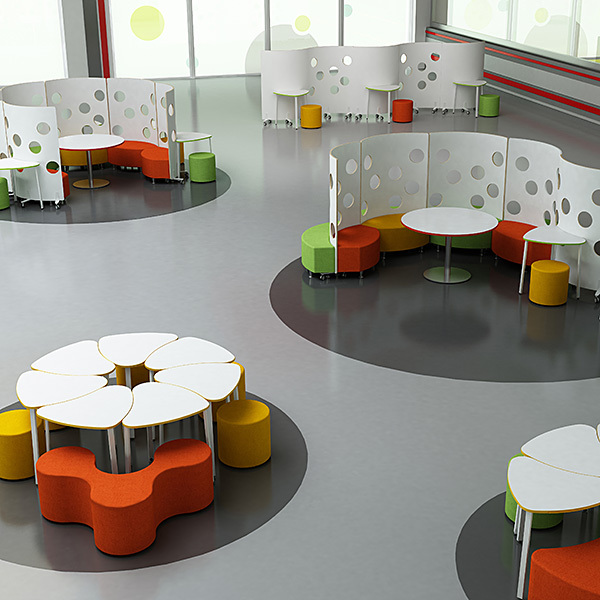 Mobile screens that can be combined to create places within spaces, finished in LearningSurface® all you need to do is pair them with some upholstered stools and you can create a brainstorming or meeting area perfect for smaller groups wherever you like. Specify LearningSurface® on the inside or the outside of your pod so the walls become writable surfaces. Add a touchdown to the outside of your pod and make that writable too. If plain white isn’t your thing then we can add bespoke graphics and logos so your writable surfaces and furniture are bang on brand. 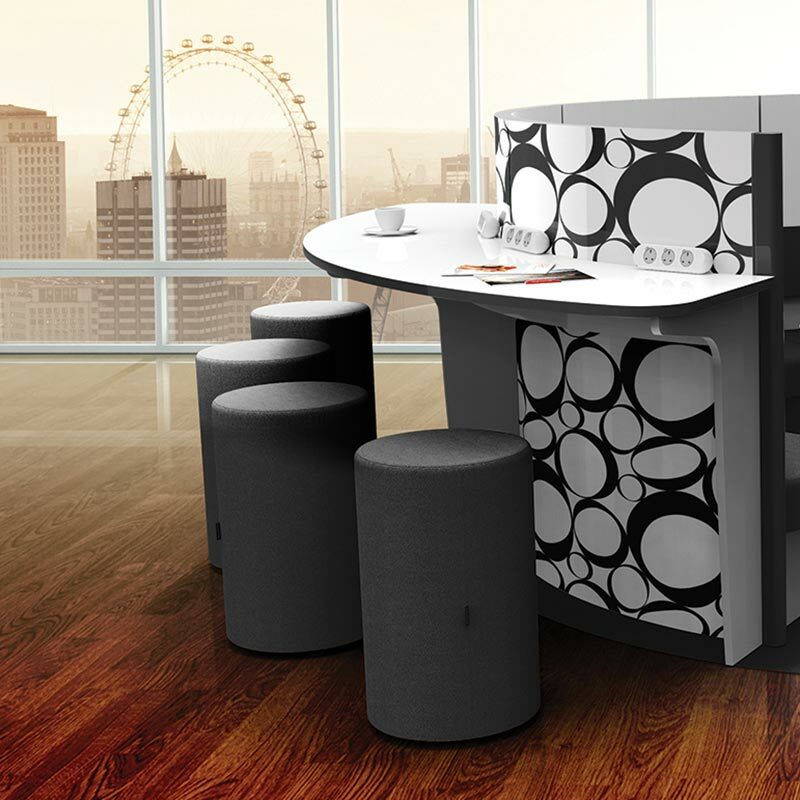 We can apply LearningSurface® to pretty much any surface and because we manufacture our furniture to order, we can help you create bespoke writable items that will deliver the wow factor in spades. So if you have a unique idea, we can help you make it a reality. 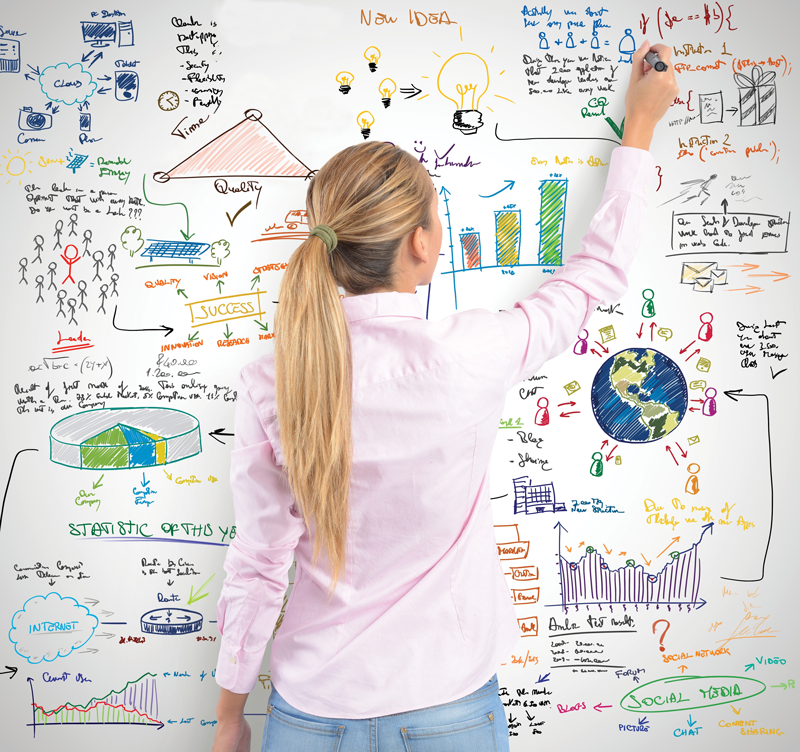 Why writable surfaces are a must-have addition to any workspace. To find out more about how we can help you integrate writable surfaces into your workspace please get in touch.